Netflix To Stream HD Movies To Xbox 360 Owners Next Month | OhGizmo! When the New Xbox Experience launches next month, 360 owners will have the opportunity to stream Netflix movies to their console. This is something we’ve known for some time, and is honestly one of the things I look forward to the most regarding the dashboard update. However, it seems that they’ve been holding out on us. Not only are we going to be able to stream Netflix movies on our Xbox 360’s, but we’re going to be able to do it in HD. When the NXE goes live on November 19th, Netflix will also be launching their HD streaming service, which will work with the 360. According to sources, there will be over 300 movies available in full HD when the service launches. If you don’t have a Netflix account already, I’d highly suggest signing up and taking advantage of this. 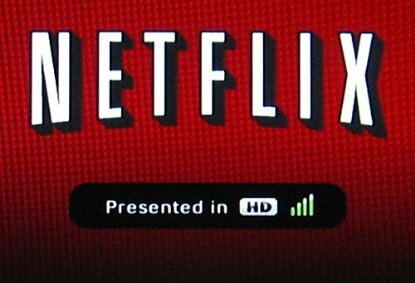 360 owners will have the opportunity to stream Netflix movies to their console. This is something we’ve known for some time, and is honestly one of the things I look forward to the most regarding the dashboard update. However, it seems that they’ve been holding out on us.